There are many ways in which we all need to adapt and utilise newer methods when it comes to approaching Inbound Marketing so you can not only draw in new customers but also keep the ones you already have. Here’s why Inbound Marketing is important in 2019 and three aspects that will need your attention. If you’re at the starting line when it comes to Inbound Marketing, then these tactics will put you in a great position. Inbound Marketing is important every single year. However, heading into 2019 there are certain aspects you need to give extra importance to. To find out more about each one in more depth, click on any of the headings below to jump to the relevant section. When we’re talking about an algorithm change, no marketer can be blamed for thinking of Facebook right away. While that’s important to keep in mind, Google has also implemented an algorithm change which should change your approach heading into the New Year. When inbound first came to the surface and everyone jumped from the outbound ship, the old school tactic that was implemented was SEO keywords. Although that has worked in the past, that might not be the case any longer as Google has changed once more with its recent Medic update. If you’re still only targeting one keyword with relevant pages, then you’ll fall short in 2019 if you continue. Google now looks at how well you’ve been writing about a certain topic. Now, the quality around the topic takes precedence so you’ll receive a huge boost if your focus turns to content quality - this is a big Inbound focus now. You need Google to look at the content you’ve been producing. If it’s determined that you’re regularly producing quality content and can be trusted, then you’ll find yourselves higher up in search engine results. 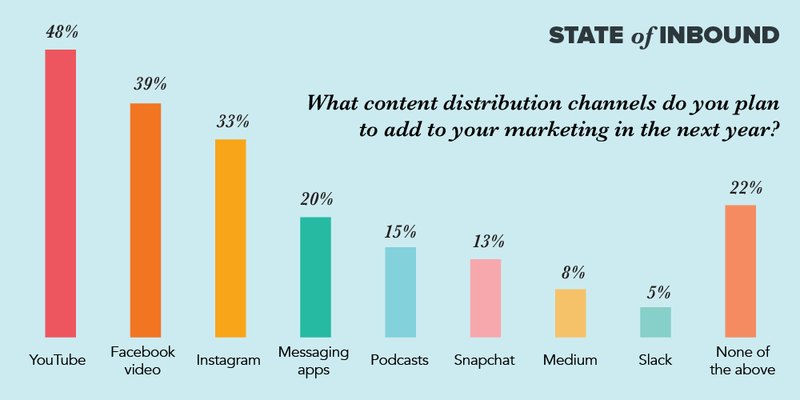 It doesn’t matter if you’re new to inbound or if you’ve been all-in for years, the fact that 55 percent of marketers see content creation as their top Inbound Marketing priority speaks volumes. It’s time to focus on topic-based content and producing quality content so you own it. Think about it this way, if Google recognises that you’ve consistently been writing to a high standard surrounding a certain topic, then you’re going to have authority over that topic compared to others. It’s also important to link to blogs, like topic clusters, to see the benefits of the algorithm change. This means customers will see you as the reliable source when they’re searching about particular topics. This is key to upselling and growing from your business’ growth point of view, rather than just focusing on bringing in new leads all the time. That’s why the marketing funnel has been ditched and the new Flywheel has been implemented, as it gives you a new way of thinking about how customers interact with your business at every stage. With the funnel, marketers seemed to have forgotten about life after conversion. Whether or not the customer went on to become a promoter in the marketing funnel was an afterthought and that’s not something that will work in 2019. 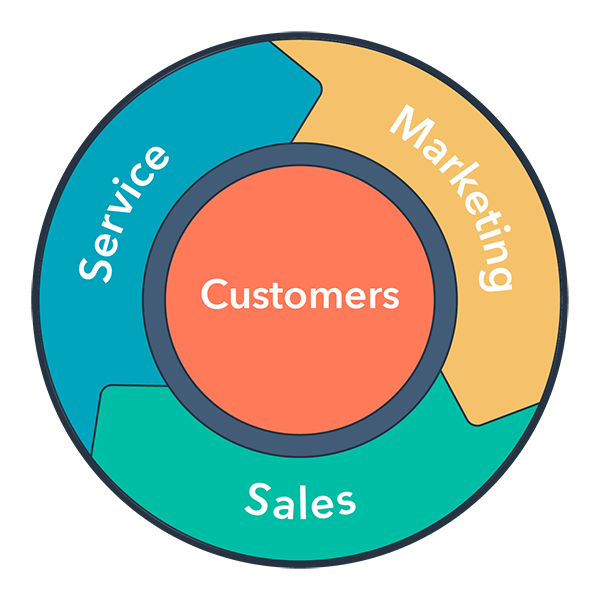 This is now more important than ever in Inbound Marketing as the cyclonic Flywheel acts as the vehicle that lets you understand customer interaction. Every interaction your company has with a customer shapes how they view your business and what they’ll tell others about you. So moving forward, your marketing strategy needs to reflect that. This framework gives you the ammo to operate and understand your customers. So, you’ll know the types of content you need to be creating for your customers, understand their challenges and pain points and other ways to continue serving customers. It’s also beneficial to start thinking about creating content for your service team, such as providing an external wiki, which they can use. In 2019, this will be good for new content creation but great for existing customer interaction as well. It’s simple - there needs to be a massive focus on quality video content heading into the New Year. It’s important because Inbound Marketing is versatile for content creation as it’s all based around challenges that personas are facing. Not every user is going to want to read a blog or will have the time to do that. In fact, some might prefer to have the solution in a 30-second video and that can be done relatively easily. Investing in a camera, using screenshare or Zonebox, for example, can be a great starting point to begin emphasising video content creation. In the past two years alone, content consumption on Facebook has increased by 57 percent. This shows just how much interest there now is in video content. 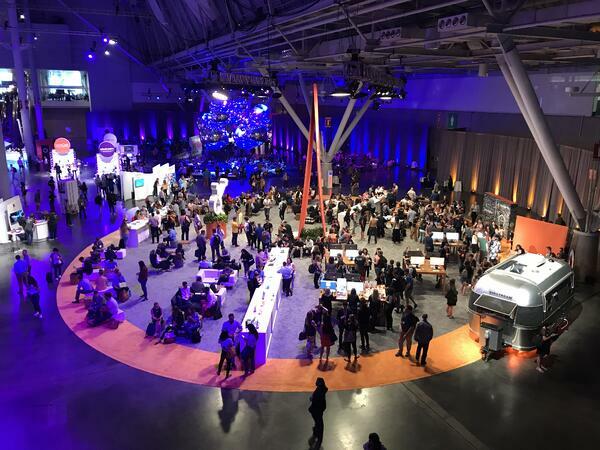 Along with this, HubSpot’s recent State of Inbound report has shown that more and more marketers are focusing on video platforms like YouTube, Facebook Video and even Instagram as content distribution channels to focus on next year. Clearly, more importance is finally being given to video content. Before diving into it and making it a priority in 2019, make sure you identify challenges the personas are facing and understand the personas as a whole. This is what will allow you to create effective video content as you’ll understand the challenges a lot better. Just think about how much video content you consume yourself. Whether it’s training videos at work or Netflix when you get home, video is now a central part of how we all live and work. Video usage is on the rise and these stats should perfectly highlight why a big focus needs to go on video marketing in 2019. 81 percent of businesses use video as a marketing tool. In 2017, that figure was at 63 percent. 97 percent of marketers say video has helped increase user understanding of their service or product. 80 percent of marketers say video has increased dwell time on their website. 85 percent of people say they’d like to see more video from brands in 2018. With there clearly being an increased demand for video content, it’s important you put an emphasis on quality content creation heading into the New Year to boost your Inbound Marketing efforts. As important as the above factors are for your Inbound Marketing efforts in 2019, that’s just scratching the surface. There’s still so much more to learn about the topic and the techniques you can implement and understand just how important it is moving forward - just like it is every year. That’s why we’ve created an easy-to-read guide on all things Inbound Marketing. Until that's ready, why not join our private Facebook Group?